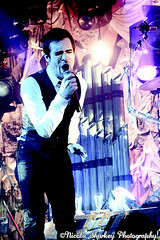 is this music?» gig reviews Album review: Panic! At The Disco - Glasgow Barrowland - is this music? It’s been a tough time for Las Vegas flamboyant rockers Panic! 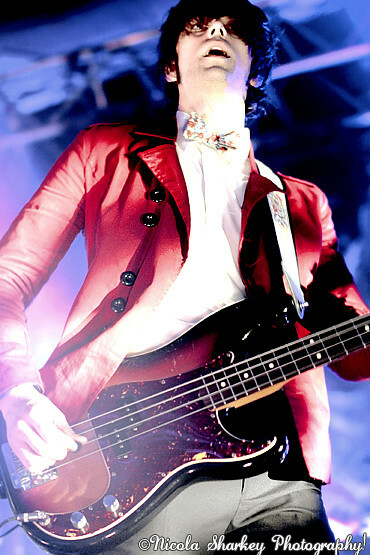 At The Disco, back in 2009 original members guitarist Ryan Ross and bassist Jon Walker left the band to pursue their own music careers without frontman Brendon Urie and drummer Spencer Smith. Many dedicated fans were distraught over the two musicians’ departure, and it almost appeared as if Panic! At The Disco were no longer. Fortunately in this story there is a happy ending as Urie and Smith decided to continue with the band, albeit moving their genre away from the pyschedelic rock side of their 2008 release ‘Pretty. Odd’ and more so relatively back to their theatrical pop style which they conveyed in their debut album ‘A Fever You Can’t Sweat Out’. In March last year, Panic! At The Disco consequently released their first record as a duo named ‘Vices & Virtues’ in which the band are currently promoting on their eight date UK tour where they are performing at the Barrowlands in Glasgow, alongside the help of their touring guitarist Ian Crawford, and bassist Dallon Weekes. Upon reaching the east end of Glasgow, the endless amount of teenage fans queued around the outside of an extremely illuminated entrance with a prestigious looking tour bus dominating the only car park in the area, could only indicate that I had finally arrived to my destination. 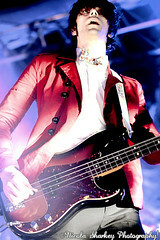 Inside the venue, the Barrowland stage embellished an extravagant backdrop much suited to Panic! At The Disco’s eccentric style. The four piece entered dressed in their accustomed formal attire entailing waistcoasts, ties, and suit trousers. Arriving to a magnificent applause from the audience, the band commenced the night with a powerful and upbeat song called ‘Ready To Go’ where Urie energetically accompanied the jubilant music by jumping back and forth on the stage, whilst entertaining the crowd at any given opportunity. Crawford and Weekes acquired a similar disposition to Urie throughout and more noticably in proceeding songs ‘But It’s Better If You Do’ and ‘The Ballad Of Mona Lisa’ truly uncovering their high potential to become permanent members of the band. The group evidently yield much pride in creating a unique performance that should certainly not only be listened to but also carefully watched as Urie’s frequent acrobatics onstage were honestly almost as impressive as hearing the band perform live. However in spite of this, the four piece may have paid too much close attention to the performance side of their set rather than the setlist itself as when they played songs such as ‘Trade Mistakes’ and ‘Hurricane’ the spirited atmosphere in the room promptly disappeared, and sadly this happened on and off during the band’s show. Providentially by the end of the night Panic! At The Disco’s performance rejuvenated back to full status just in time with the support of songs from their debut album including their massive hit single ‘I Write Sins Not Tragedies’ which lead the crowd into an extreme delirium within seconds of the song’s introduction, plus an energetic synthpop number called ‘Time To Dance’ which equally acquired a great amount of appreciation. The most intriguing part about the group’s set was their choice of a cover song for their encore, ‘I Believe In A Thing Called Love’ by The Darkness. Surprisingly enough the song went down a treat with the audience, and it seemed like the perfect choice for the band to perform as Urie’s falsetto voice naturally acquired the high notes without any hindrance. Panic! At The Disco brandished the best of their abilities with their performance as they revealed that they can still provide a diverse approach to their live set, similarly in their former days with Ross and Walker. If only the group had made a few minor adjustments to their setlist, the show would have been undoubtedly flawless.